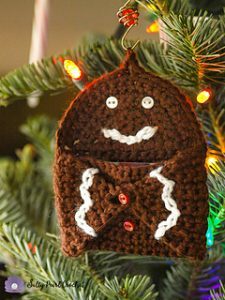 We have already given out some awesome Free Crochet Patterns for Gingerbread Man Ornaments in our previous post and you all loved it. 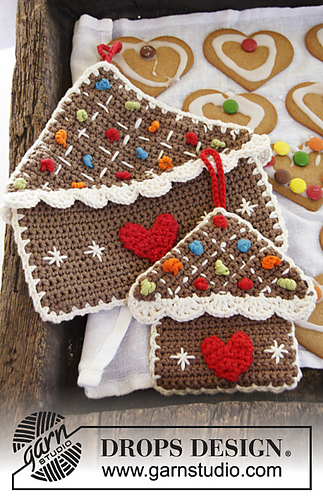 So now we have some lovely patterns for Other Gingerbread Ornaments for you all. We have Gingerbread house, gingerbread house, and a gift card holder too. So let us see which pattern you choose to make for this Christmas. There will be many more posts on Christmas patterns as we come nearer to the awesome month of December. 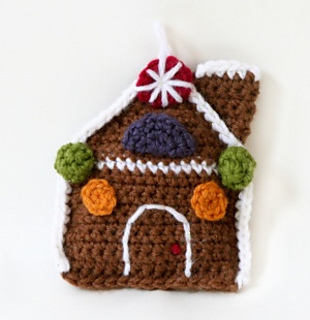 Amigurumi Gingerbread House by Lion Brand Yarn made using Aran weight yarn and a 4.00mm crochet hook. Home Sweet Home by DROPS design is a lovely design made using Aran weight yarn and a 4.00mm crochet hook. 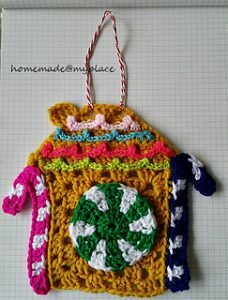 Can be made as a potholder and an ornament. 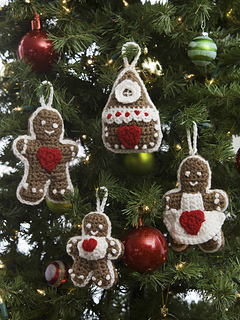 Gingerbread Tree Ornaments by Michele Wilcox is a lovely one made using Aran weight yarn and a 4.00mm crochet hook. 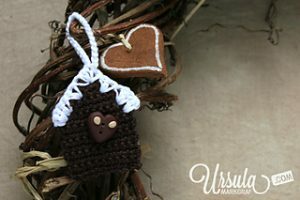 Gingerbread house ornament by Alessandra Poggiagliolmi is a nice and unique one made using a DK weight yarn and a 4.00mm crochet hook. It has all Christmas Candies on it. Gingerbread House Ornament by Sara Sach is again a lovely one made using Worsted weight yarn and a 5.00mm crochet hook. Gingerbread House Ornament by Lily / Sugar’n Cream is a cute little one made using Worsted weight yarn, a 3.5mm or a 4.00mm crochet hook. 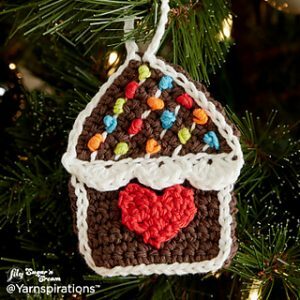 It is one of the cutest Gingerbread Ornaments. 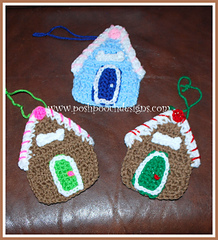 Crocheted gingerbread house tag by Ursula Markgraf can be used making any yarn and a suitable hook for the yarn. It is a simple and cute pattern. 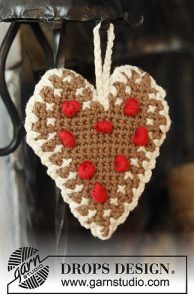 Gingerbread Heart by DROPS design is a lovely pattern made using Sport weight yarn and a 4.00mm crochet hook. Gingerbread Heart Gift Tag by Lydia Busek made using Sport weight yarn and a 3.00mm crochet hook. 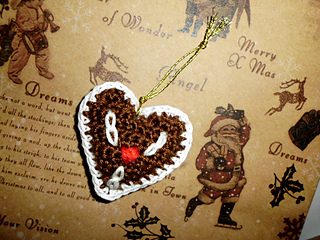 it is a gift tag but can be put on as a Christmas Tree ornament. Gingerbread Hugs Gift Card Holder by Katie Clary is a cute one made using Aran weight yarn and a 5.00mm crochet hook. This one can be used for advent calendar purpose too.